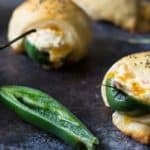 We all need a simple and easy go-to recipe for a game day appetizer that everyone will love… that’s why I’m excited to share with you these Easy Cheesy Jalapeno Poppers! It really doesn’t get any easier than this, friends! 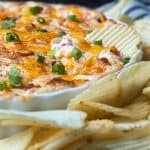 Slice and seed jalapenos and fill with a cream cheese mixture… I used vegetable cream cheese spread mixed with shredded sharp cheddar cheese. 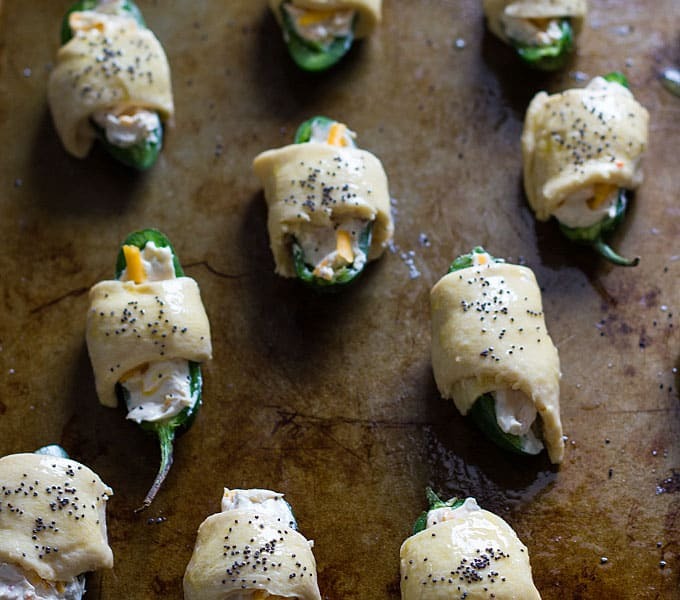 Roll ’em up in crescent rolls, brush with egg and sprinkle with poppy seeds. 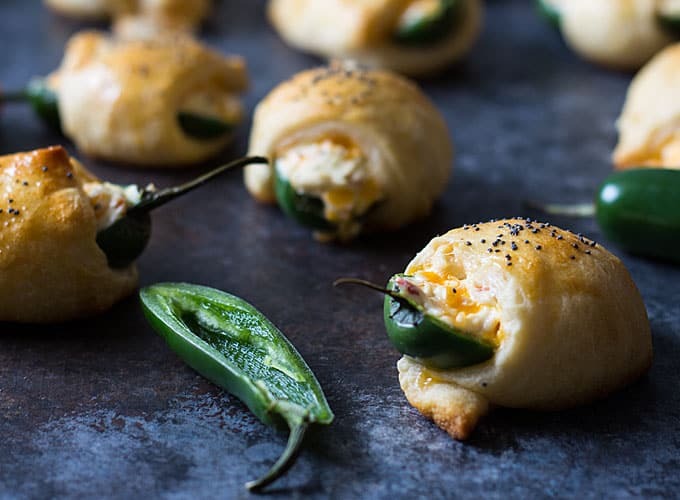 Bake for 12-16 minutes and you’ve got the perfect cheesy jalapeno appetizer that all of your guests will LOVE! 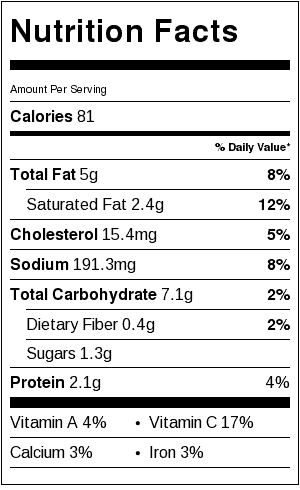 I actually had a few of these for brunch today! But I need to warn you to remove all of the seeds if you’re sensitive to heat… I think I left a seed in one and it set me on FIRE! Lesson learned. But all of the other ones I ate (LOL) were fine. Preheat your oven to 375 degrees F and spray a baking sheet with cooking spray or grease. 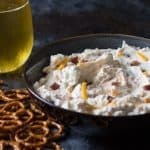 In a small bowl, stir together garden vegetable cream cheese spread and shredded cheddar cheese to combine well. 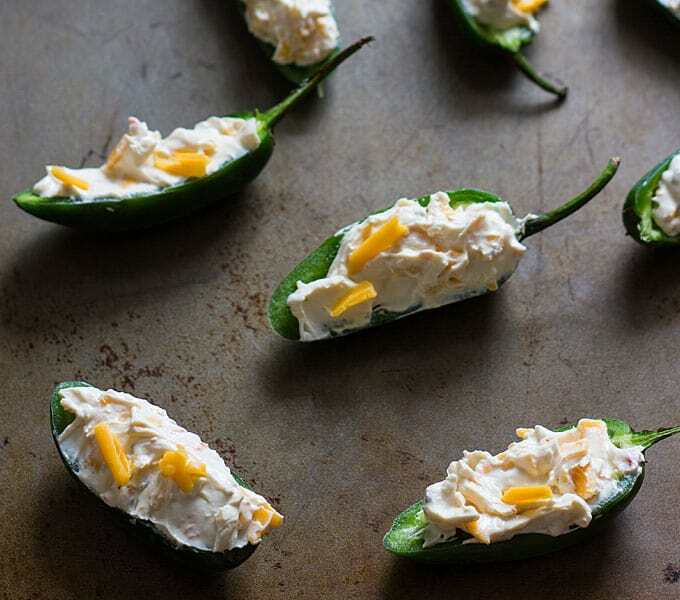 Stuff each jalapeno pepper half with cream cheese mixture. 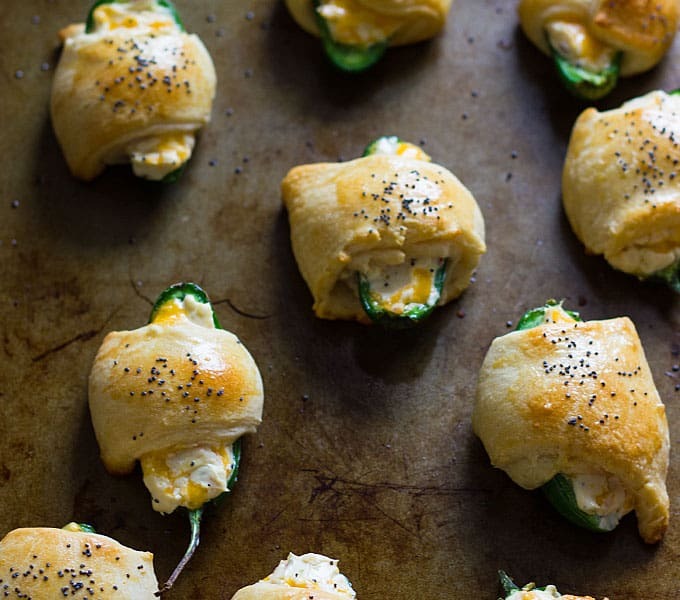 Place stuffed jalapeno pepper on shortest side of crescent roll triangle and wrap. Place onto greased baking sheet. Repeat with remaining peppers and crescent roll triangles. Brush each crescent roll with beaten egg and sprinkle with poppy seeds. 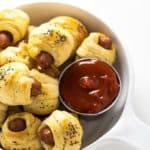 Bake for 12-15 minutes, or until crescent rolls are golden brown. I remember being in line at a grocery store. The women up first was buying crescent rolls and other ingredients. She and I and the man between us started talking about what we each made with the rolls. 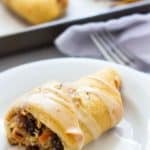 It is so great to find interesting recipes to make with a convenience item like crescent rolls. 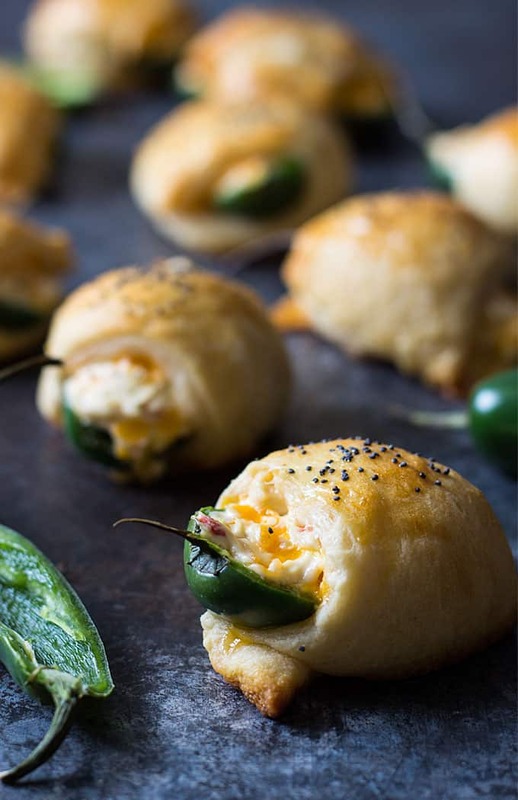 I usually just fill each half of a large jalapeno with sharp cheddar and bake them. I know that would be too spicy for many of my friends but your recipe should suit many of them. Thanks! 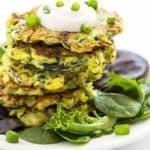 I made these today and they were so easy and delicious!! Thanks for the recipe! I only made a couple very slight changes based on my taste. I broiled the halved jalapenos for a few minutes and pulled off the crispy skin so they’d be a little bit softer. I also used original cream cheese and added some cracked pepper, onion and garlic powder. And I used cayenne pepper on top because I didn’t have poppy seeds (which actually was great. The heat factor was perfect!). A grapefruit spoon works well to get the seeds and ribs out. These were a huge hit, everyone loved them! And they were SO easy to make! !